Add extra power to your Airstream with our 90-watt “L” Series expansion kit, especially designed for narrow or curved roofs. 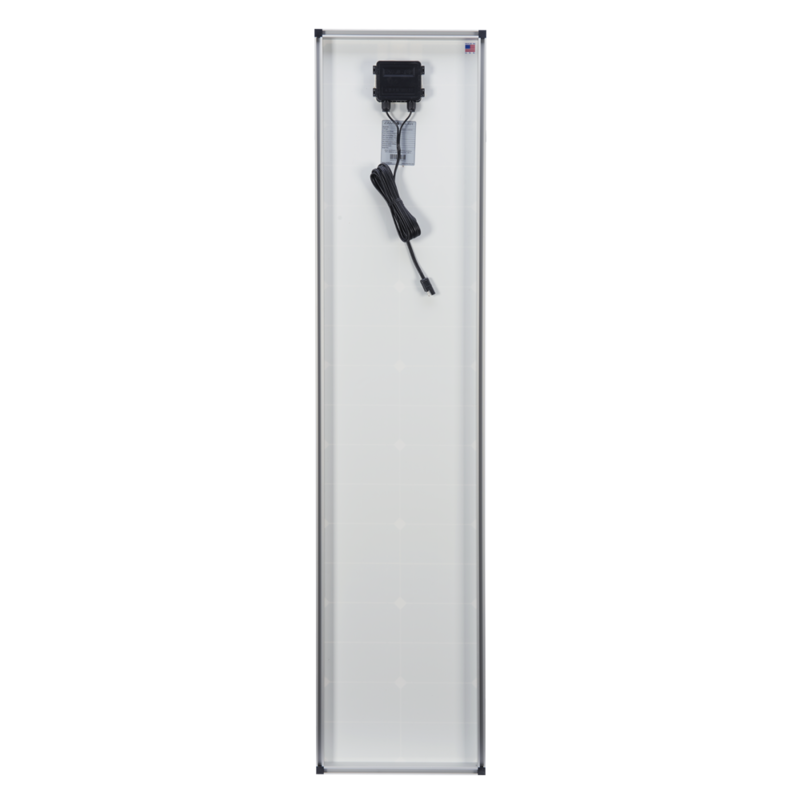 This expansion kit is compatible with any of our other roof mount kits but its unique mounting feet accommodate curved roofs and its long, narrow panels make the most of limited space. Its quick-connect solar plug makes expanding your solar kit easy and simple—just plug it into your roof cap and you’re good to go. Handcrafted in Bend, OR using the highest grade monocrystalline solar cells for optimal output, our 90-watt panel is treated with anti-reflective coating to maximize light absorption. Our innovative Omni-Mount frame lets you to mount the panels wherever you need them, and our stainless steel mounting hardware ensure your panels won’t budge in route—no matter how far off-road you go. Our pre-assembled solar lead makes installation a breeze without requiring crimping tools. Simply mount the panel, plug it in and go. Buy with confidence knowing that your solar investment will last for the long-haul. *See our Solar Sizing Chart to see what kit is right for your needs.